The series Slated started off with a lot of promise. I found the concept to be very intriguing, considering it grappled with issues that not many YA novels I've encountered have covered. However, by the end of the series I really felt like there were so many missed opportunities and eventually once the series came to an end I was not really left satisfied. Slated gave a thorough introduction into the world, the characters and the context of the plot. It made for a great start and I really liked the concept it played on. 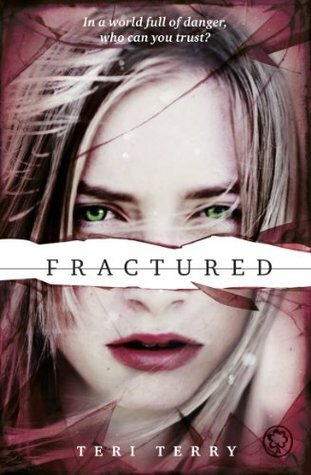 Fractured focused more on Kyla's identity and her role amongst the bigger issues. It wasn't as exciting as the first one, but it did have a lot more intriguing character and plot development. 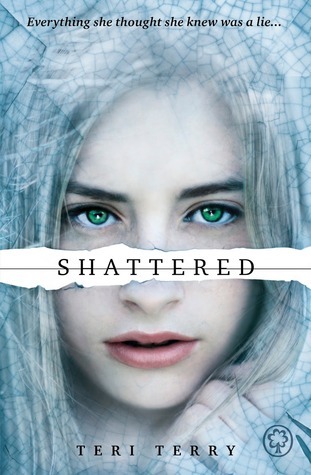 Shattered ended the series, not as great as I expected, but did tie all loose ends together. 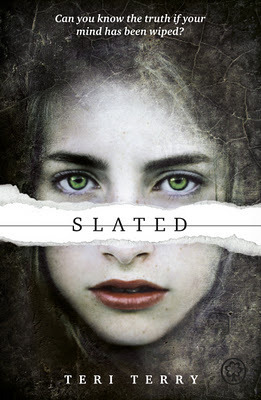 I liked Slated the most, finding that I was pulled straight into the world and the issues that it tackled. It was fast paced and easy to read, and I enjoyed the constant action or intensity it contained. I would say that whilst I learnt about the characters well, I wasn't attached to them even by the end of the novel. Between Fractured and Shattered Kyla's character development progresses and adds depth. I was surprised by what was revealed but it created depth and complexity to the plot, which made it all that more intriguing. I didn't particularly love her by the end of the series, but at least I could learn so much more about her and share the emotions she felt during the story. I do think that the last two books were drawn out, which did bore me a little. Shattered definitely could've been condensed down to maybe 2/3 of the actual book, what with the little moments added that were longer than necessary. There wasn't all that much action, which was something I was looking forward to, especially during the finale. I expected a lot more by the time the end rolled around but frustratingly I wasn't really satisfied. Overall though, the meaning behind the series did resonate well and I appreciated how power and control was portrayed in the plot. I also liked Terry's take on relationships, the development of it along with trust and loyalty between different people. What really stood out, besides the main issue, was questions of good and bad, and choices. There is a lot to mull over but was overshadowed by how I lost interest as the series progressed. Slated is a good read, but because it showed so much promise I did expect a lot from it. I am slightly disappointed it didn't get there but you may find it to your liking! I know! I was excited to see how everything would end but I was left feeling disappointed. I definitely need to clean out my shelves though because I probably have a few that I wouldn't read either.